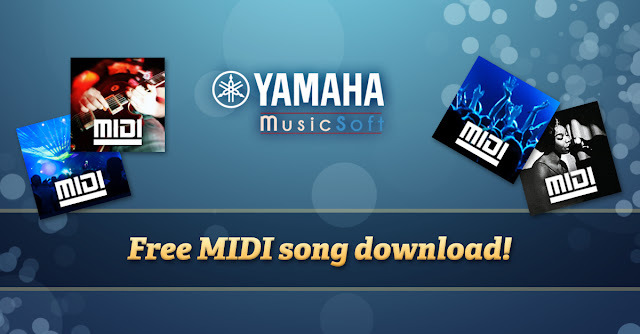 When you sign up to the Yamaha MusicSoft newsletter you get your choice of a free Premium MIDI Song. Yamaha Premium MIDI Songs are designed to function with the learning features of Yamaha MIDI-enabled keyboards. Learn more about Premium MIDI Songs from Yamaha in this blog post. We’ve had a few enquiries about how to download this MIDI song, so just follow the steps below and you can start enjoying it on your keyboard. Register for an account at Yamaha MusicSoft.com. 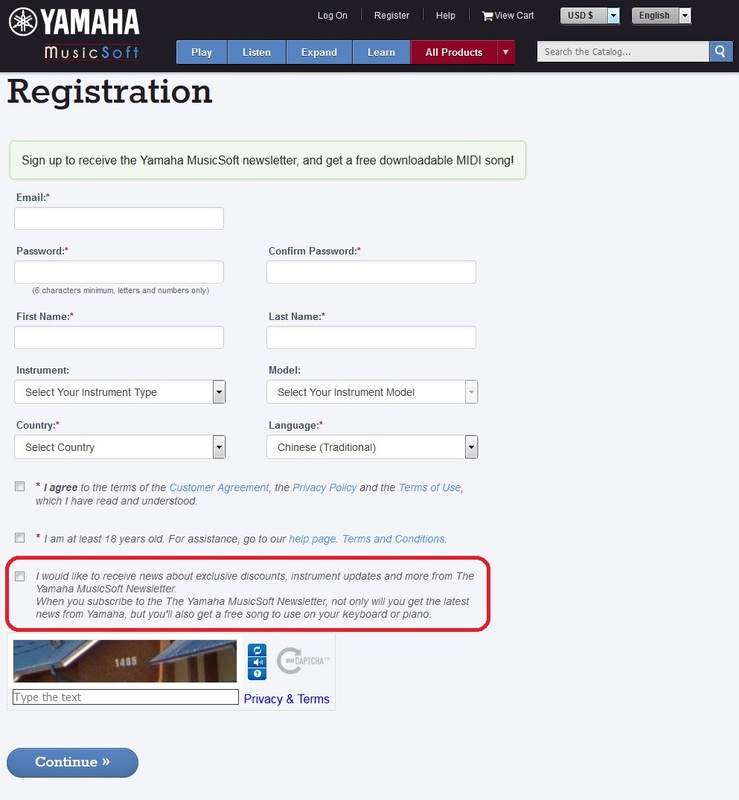 Make sure that you check the box outlined in red below that confirms that you would like to receive the Yamaha MusicSoft newsletter. In addition to the free MIDI song, you will also receive exclusive discounts, sale reminders, instrument updates, the latest product news and more. After you complete registration, a pop up will appear with details on the free song download. Select the song of your choice and hit "Download". Once you choose your song it will automatically download to your computer. If you do not see the MIDI song check your downloads folder on your computer for recent downloads. The file name will be the song title, and the file format is MID but the MIDI file is XG format. 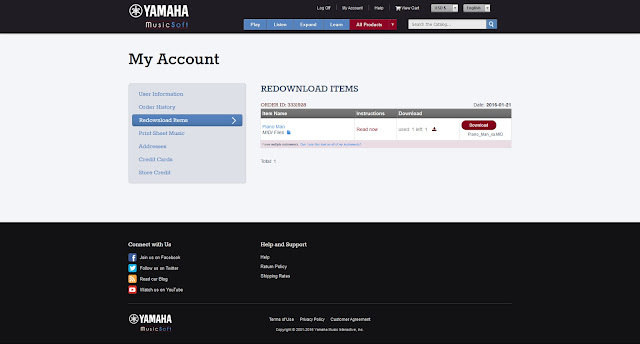 You can also login to your Yamaha MusicSoft account and navigate to the Redownload Items page as seen below. You can download the MIDI song a maximum of two times. 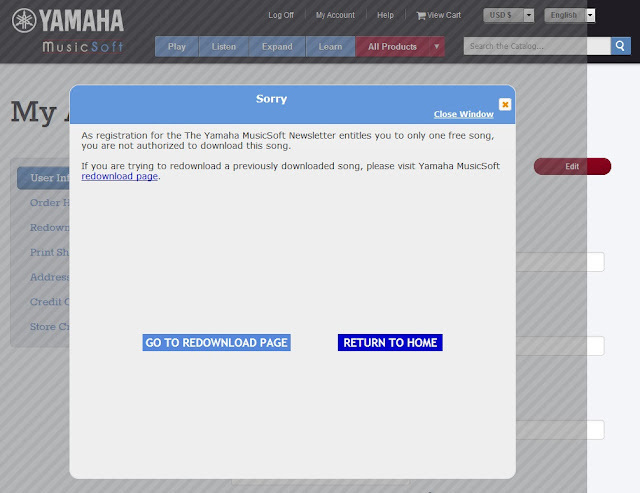 When you sign up for the newsletter you will also receive an email with the subject line “Yamaha MusicSoft Newsletter Subscription Confirmed - Claim Your Free Song!” from noreply - at - yamahamusicsoft - dot - com. This email contains a link to the free song download page. If you are not logged in you will need to login to your account before you can download the song. 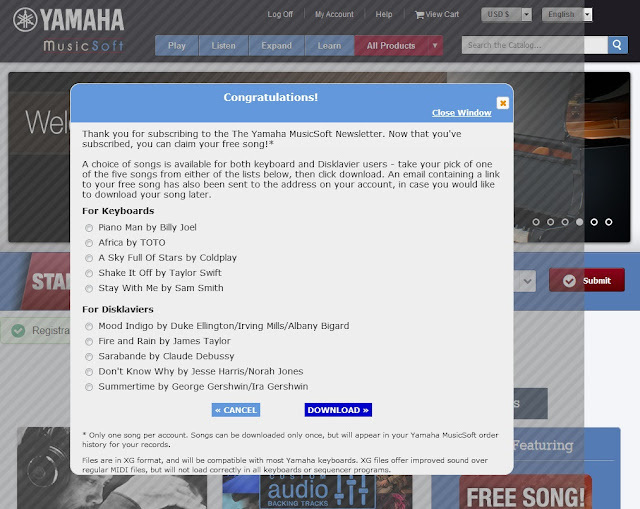 If you’ve already registered for an account at YamahaMusicSoft.com, but did not subscribe to the newsletter or download your free song at the same time you can visit https://www.yamahamusicsoft.com/dy/freedownload/freesong to redeem it. Again, if you are not logged in you will need to login to your account before you can download the song. If you have already redeemed your free song you will receive a pop up like in the below screen shot. Again check the Redownloaded Items page via "My Account" to see if you have any remaining downloads. If you're looking for more ways to use MIDI files we’ve done several posts on this blog about MIDI songs including this MIDI video series, this post on how to record a MIDI song on your Clavinova and the post at the top of the blog that explains the difference between Style Files and MIDI Songs. You can also shop for Premium MIDI Songs on our website. Now that you have your free MIDI song, download it into your keyboard via a USB device. Mix it up and have some fun. Don’t forget to share your musical creations with us on social media! Use #YamahaMusicSoft or tag us in your content. Your Insider’s Look at the NAMM Show!